You may have read stories in which authors recount the travails of their book tours: the exhausting travel, the cold motel rooms, the bookstore audiences composed of one compassionate bookseller and a person waiting out a rainstorm. Not me. Next week I’ll be doing a virtual book tour – visiting a range of very cool blogs and discussing everything from the challenges of naming characters to the thoughts and inspirations behind specific lines in Her Own Vietnam. From Monday through Friday, every day I’ll visit a new blog – two blogs on some days. And you’re invited to each one. Check out the tour schedule here: http://grabthelapels.weebly.com/home/lynn-kanters-virtual-book-tour. Best of all, you can pour yourself some coffee and join the tour in your pajamas. And if only one person shows up, I’ll never know. If you’re on Goodreads, go grab a free copy! Here’s the link. It’s taken so long, but now that it’s almost here, I can’t quite believe it. Her Own Vietnam will be published on November 1, 2014 – a little more than 48 hours from now. So what exactly happens on the publication day? On November 1, the book becomes available for sale on book websites and in some brick and mortar bookstores. (It’s already available from the publisher, here.) You’ll be able to read Her Own Vietnam as a paperback, a Kindle book, or any other ebook format. If you belong to Goodreads, they will be giving away two signed copies of Her Own Vietnam starting October 30 at midnight. I’ll post that link when it goes live. I’ll be skipping around the Internet, being interviewed and posting guest articles at a variety of really cool book blogs and sites. And my publisher is expecting reviews of the novel to appear in some key outlets over the next few weeks. There’s a way you can get into the act too: by reading Her Own Vietnam and writing a brief review (1-2 sentences will do) on book sites like Amazon and Goodreads. I’ll be sharing with you all the details as we get closer and closer to the book launch. And after that, Her Own Vietnam will no longer be mine. It will belong to you, the reader. 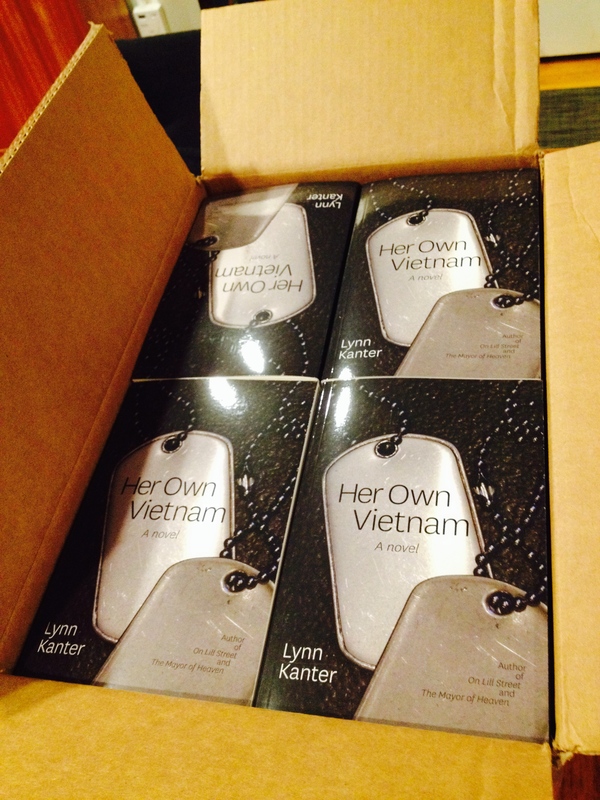 Only 10 more days until my novel Her Own Vietnam is published, but 16 more fabulous women novelists to explore. Today: Zelda Lockhart. You might say that Zelda Lockhart is a friend of mine. Bu since we haven’t seen each other since 2002, does that make us merely acquaintances? Friend, acquaintance, whatever – she’s a gifted writer. 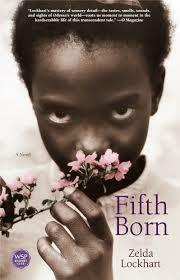 Zelda’s first novel, Fifth Born, is a powerful and harrowing story of a young girl’s search for belonging as she tries to separate herself from her abusive family and their almost inescapable history. The novel has one of the most striking covers of any book on my shelves. Cold Running Creek is historical fiction based in the time surrounding the Civil War. It avoids the usual characters that populate many novels set in that era, and instead focuses on the struggles of Native American and African American women as they try to survive during the waning days of slavery and the violent theft of Indian land. Fifth Born II: The Hundredth Turtle builds on Zelda’s debut novel, moving its protagonist Odessa from Mississippi and Missouri to New York City amidst the upheaval of social movements in the 1970s and 80s. In the Spring 2014 edition of the beautiful literary journal Referential Magazine, Zelda has a moving short story called The Empty Nest. In it, the narrator describes her daughter’s approaching adulthood as “the slow departure from my intentions.” If any phrase better encapsulates the quiet grief of parents as their children do what they must do and grow apart, I haven’t encountered it. In addition to writing, Zelda Lockhart teaches, leads workshops, does public speaking, and is the director and founder of LaVenson Press Studios in North Carolina. There women writers can find their voices, sharpen their skills, and create a community. Zelda is making a place for herself and her sisters, in the heart of the written word. As I count down to the publication date of Her Own Vietnam, I’m counting up to 30 fantastic novelists you should know. I met Caroline Leavitt once, for 30 seconds. She was about to do a reading at a book festival; I was in the audience. I planned to pick up her book after the reading, so when we met I was a little embarrassed to be empty-handed. I did buy the book afterwards, and I’m glad I did, because it turned out to be my favorite of her novels: Is This Tomorrow? In the novel, Ava Lark and her young son Lewis move into a lovely Boston suburb, hoping for a new start. Instead, they are snubbed and ostracized. The year is 1956, and everything about Ava is wrong for her new community. She’s divorced, she’s Jewish, she works for a living – and she’s beautiful, which the local husbands have noticed. When a child in the neighborhood disappears, a child who is friends with Ava’s son and has spent time at her house even when Lewis was gone, the town’s suspicion turns sinister. Leavitt does a powerful job of creating the atmosphere of casual anti-Semitism and rabid anti-Communism that permeates the leafy suburb. Anyone with a different style, anyone with different values, anyone Jewish is immediately suspected of being a Communist. Ava Lark is a compelling character: lively, compassionate, bold but vulnerable. She’s the kind of outsider you long to befriend, but Leavitt makes you wonder: if you lived in that town, with its harshly enforced code of conformity, would you dare to reach out to someone like Ava? Caroline Leavitt keeps herself busy. 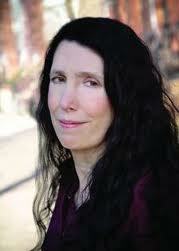 She writes essays, screenplays and book reviews. She teaches writing. 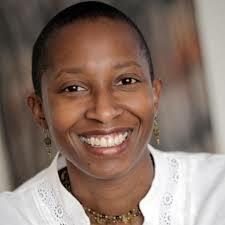 She maintains a lively Facebook presence and writes a wonderful blog, on which she interviews all kinds of authors. And she’s a New York Times bestselling author who has written ten novels, with another coming out in 2015, called Cruel Beautiful World. I know where I’m going to be when that new book of hers is released. On the couch, reading and falling deeply into the fraught, luminous world created by Caroline Leavitt.